Why Choose Go 2 Pass Driving School? Manchester’s most innovative driving school offering driving lessons in Manchester, Stockport, Salford, Rochdale and all surrounding areas. Our driving school can offer a comprehensive course of driving lessons both in automatic and manual cars to match your needs. Grab the opportunity of the highest level of driving instruction to help you pass your test pass first time like many of our past learners. Rest assured our Manchester driving school will provide you with an expert instruction to match your needs. We have a wide range of experienced reputable instructors of all ages and backgrounds. 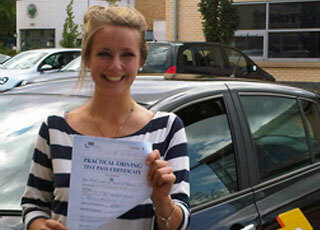 In addition you have the option of both male and female driving instructors. 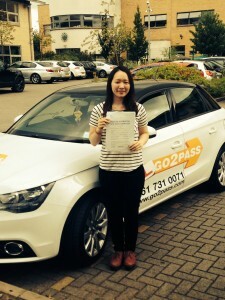 Helen NG from Manchester passed her driving test on her first attempt. After just 30 hours with our instructor. 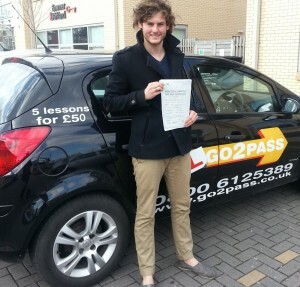 Andy from Manchester passed his driving test on his first time. Excellent drive and great result, keep up the hard work. Using tried and tested techniques we provide you with the training needed to obtain your license in the shortest time possible. No matter your location, our local driving instructors in Manchester will be able ensure a structured course of informative, stress-free, driving lessons. Combining theory, advice and most importantly its practical application. We personally train most of our teachers and strictly adhere to the highest standards. Our enjoyable lessons will help provide you with the practical skills you need to become a fully qualified road user. With over 85% first time pass rate our results speak volume. 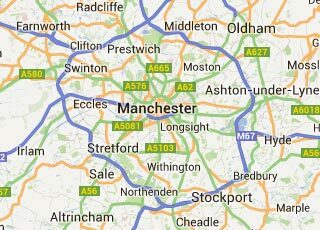 No matter where you are based within the Manchester area, we will be able to provide you with a structured course of informative, stress-free driving lessons. With such a high first time pass rate at practical tests, you can understand why many learner drivers feel so confident in using our driving school. As a result, our customer satisfaction rate is even higher, since most pupils report that they leave happy with their time spent at Go 2 Pass and come away with the outstanding personal accomplishment of obtaining their driver’s license. The number of referrals we get from previous learners speaks volumes. Are you In a hurry to pass your driving test? Well why not undertake an intensive driving course. These intensive driving lessons are designed to allow people to pass in the least amount of time.